"Patty know I am holding close to my heart. Hugs Dear Lady"
"Jim will be greatly missed by all of the cousins. He was so much fun to spend ti"
"We hold you in our hearts and our prayers. Remember, he is only gone physically"
"My thoughts and prayers are with you and your family." "He was a wonderful man loved by so many!" 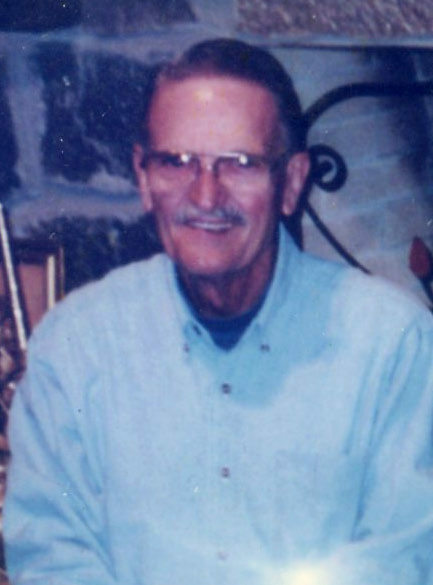 James A. Harmon, 87, of Dawsonville passed away Sunday January 7, 2018 at New Horizons Lanier Park following a period of declining health. Mr. Harmon was born June 15, 1930 to the late Edward and Mona Harmon in Kansas City, Missouri. He was a graduate of Northeast Kansas City High School where he was an active member of the ROTC program. James also attended the University of Missouri where he earned a bachelor’s degree and met his future wife. After college he spent 39 years with J.C. Penney where he worked in various management positions all over the United States until his retirement. An active member and past president of Mended Hearts at Northeast Georgia Medical Center, James was a member of Grace Presbyterian Church in Dawsonville. He is also preceded in death by two daughters, Pamela Jane Thompson, Cindy Harmon; brothers, Skip Harmon, Ralph Harmon; sister, Carolyn Silky. Surviving are his wife of 67 years, Ruby Harmon, Dawsonville; son and daughter in law, Gary and Linda Harmon, Kansas; daughters and sons in law, Susan and Chris Walsh, Dawsonville, Patty and David Cronic, Lawrenceville; grandchildren, T.J. Reynolds, Kristin Harmon, Joseph Reynolds, Justin Harmon, Matthew Reynolds, Jason Reynolds, Rachel Harmon, Heather Davenport, Samantha Thompson, Natalie Harmon; 18 great-grandchildren; a number of nieces, nephews and other relatives. Funeral services will be held Saturday January 13, 2018 at 11 o’clock at Bearden Funeral Home Chapel. Rev. David Jordan will officiate. Interment will follow in Dawsonville Memorial Gardens. The family will receive friends at the funeral home from 5 p.m. until 7 p.m. on Friday January 12. In lieu of flowers donations may be made to New Horizons Lanier Park, 675 White Sulphur Road, Gainesville, GA 30501.